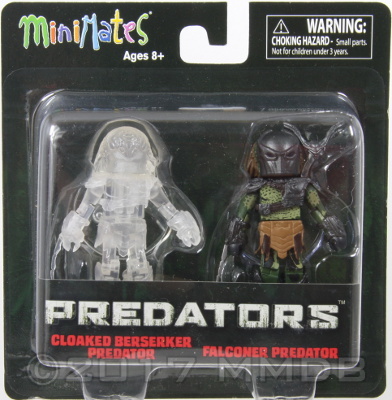 Cloaked Berserker Predator: The leader of a Yautja hunting party, the Berserker Predator and his clan-mates hunted several hand-picked human killers on an alien planet in 2010. Falconer Predator: A member of a small Yautja hunting party, the Falconer controlled a mechanical flying drone and could see through the drone's eyes. He is also skilled with the wristblade.